The Horn of Africa and Ethiopia specifically are prone to cyclical droughts and flooding linked to the global El Niño and La Niña climate phenomena. In September 2015 the Ethiopia Humanitarian Country Team launched a forward looking ‘early warning’ report on the projected impact of the confirmed La Niña event on the humanitarian context in Ethiopia (see Ethiopia Slow Onset Natural Disaster: El-Nino Driven Emergency1 ). The OCHA-led, inter-agency and government team behind the report drew on climatological data and humanitarian records from ‘analogue’ years to make projections regarding the likely impact on food security, nutrition, health and water in 2016. These projections were confirmed by subsequent assessments, with a coordinated response presented in the joint Government and humanitarian partners’ Humanitarian Requirements Document (HRD) for 2016. This La Niña report – published at the start of August 2016 – has been researched in a similar manner to previous El Niño analysis, with technical support from the National Meteorology Agency (NMA) and expert advice from Tufts University. However, there are a number of significant differences regarding the circumstances and presentation. 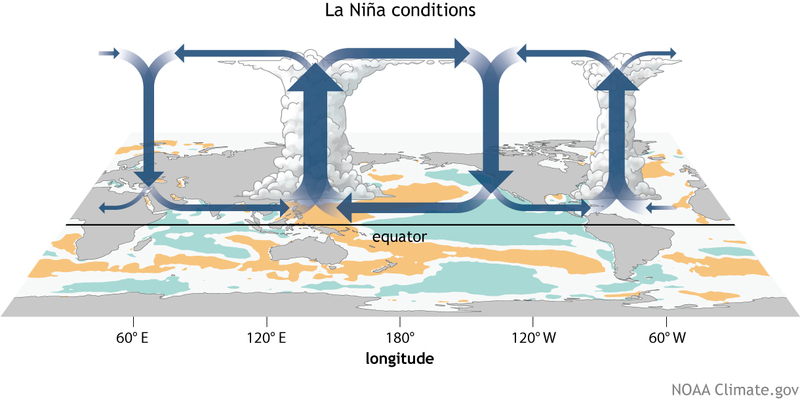 Firstly, due to the continuously evolving predictions concerning the likelihood and intensity of La Niña conditions in the Pacific Ocean, the scenario presented here should not be considered as definitive. Secondly, if significant La Niña conditions do develop, the impact will be felt on the back of the most intensive El Niño event on record, from which affected communities across Ethiopia have not yet recovered. The team researched years where a La Niña event followed on from an El Niño (1972-74, 1982-84, 1997-99 and 2009-2011). The most complete data is available from the 2010-2011 La Niña event, which followed on from the 2009-2010 El Niño event (considered to have been only ‘moderate’ in intensity). To date, it is considered more than likely (although not yet definite) that La Niña conditions will develop and impact rainfall patterns in Ethiopia through to summer 2017. Further, it is considered more than likely that some areas of the country will experience significant flooding and others drought-like conditions. The research presented herein indicates where and when these conditions may arise, and can be treated as an indicative guide for preparedness measures.